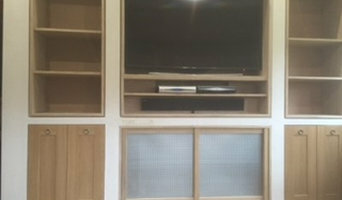 We design, build and install fitted furniture In our workshop for clients who are looking for a storage solution but who also want it to be a feature in the room. We design and build modern and traditional looking built-ins along with freestanding furniture. We have a selection of quality wood veneers that we use for our cabinetry. The paint we use for finishing is a very tough furniture grade paint which is wear resistant and can be coloured to any farrow and ball or dulux colours. Please get in touch and we will be happy to have for a chat about your project and we will provide quotations, samples and drawings. At Hendry Joiners and Builders based in Strathaven, Lanarkshire, we have many years of experience in the industry. We provide a bespoke joinery service and can take your project from plans through to completion. Our focus is on delivering quality workmanship at affordable prices to domestic and commercial clients. For your next home improvement project, give us a call for a competitive quote. We specialise in house extensions and conversions, helping you increase you living space. The quality of our work is what helps us stand out from our competitors. We guarantee all work for your peace of mind, why not get in touch today for a free quote or to discuss your next project. George Morris opened a joinery and manufacturing workshop in Glasgow with his friend, John Spottiswood. The early Morris & Spottiswood workshop serviced Glasgow’s strong industrial base at the time. When the second generation of the Morris family were leading the business in the 60’s, the shopfitting and construction divisions were built up and professional managers put in position. The business is now being led by the third generation of the Morris family and has a UK-wide reputation in fitout, housing and maintenance, a turnover of over £70m and over 350 employees in offices in Glasgow, Edinburgh, Leeds and Warrington. The culture of the company has always remained strongly people centred. If you are looking for a Home Extension, Loft Conversion, a new kitchen or bathroom, property renovation or other joinery or commercial joinery projects then you have found the experts, Clydewide Joinery, specialist Joiners in Glasgow. Clydewide Joinery in Glasgow have an enviable reputation for 'Getting the job right... and getting it right first time'! 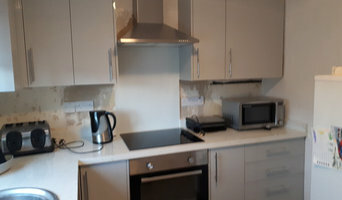 As professional Joiners in Glasgow, we recognise that when anyone takes on any building project such as kitchen improvements, bathrooms, loft conversions, or other joinery project, not only do they want the work to be carried out efficiently, to a very high standard and for the best possible price, but they also want the minimum disruption to their lives whilst the work is being carried out, the job completed within the timescale given. For all your joinery and carpentry needs! We are a family run joinery and carpentry business based in Glasgow. With over 20 years experience we have a large portfolio of completed projects. All work carried out to our clients exact specifications. This has created a lot of happy clients who in return give us many referrals for further home improvement projects. All projects are assigned a project manager and our team consists of qualified time served tradesmen providing a professional and personal service. All our work is guaranteed to an exceptionally high standard. Ensuring safety at all times. Whether its contemporary, traditional or even bespoke improvements you require, our team are happy to discuss all your requirements and ensure that we design and create a solution exactly to your brief. Howies Traditional Joinery offers a range of services from designing and creating bespoke doors and windows to doing renovations and medical adaptations. Crawford Reid Joinery have been providing outstanding carpentry and joinery services for over 35 years. Our customers return to us, time and time again. We pride ourselves on great value, and great service. Call us for a free quote, and make us your first choice for joinery in Larkhall and beyond. CSJ offer bathrooms, kitchens, extensions, conservatories, sun rooms, doors and windows. When deciding whether to employ a joiner or carpenter in Glasgow, Glasgow City, it is best to pick your professional according to their experience on projects similar to your own. For example, installing bespoke joinery such as a staircase involves significant structural work and you might want to work with a carpenter in Glasgow, Glasgow City with considerable experience in bespoke staircase joinery. You will often find you need to employ both a carpenter and joiner on a single project, and some firms will offer both skillsets which can simplify your overall hiring process. 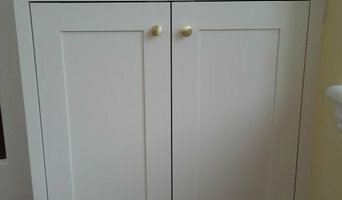 Where can I find a good Glasgow, Glasgow City carpenter or joiner? 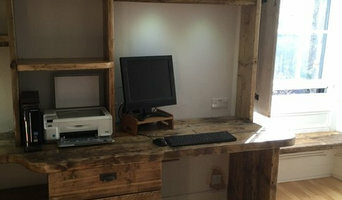 On Houzz there are many professional Glasgow, Glasgow City carpenters and joiners that specialise in providing a full carpentry service or bespoke joinery in Glasgow, Glasgow City, whether dealing with fitted or freestanding, traditional or contemporary furniture. Simply search for a joiner or carpenter in Glasgow, Glasgow City in the Find Pros category, then add images of designs that you like to an Ideabook and contact those on your shortlist. If you need reassurance beyond photos of their work and reviews of previous clients, then you might check to see if the carpenter or joiner is a member of The Institute of Carpenters (IOC), The Guild of Master Craftsmen, the British Woodworking Federation (BWF) or the Federation of Master Builders (FMB). Each asks its members to meet a certain level of expertise and abide by a code of conduct. Have a face-to-face consultation – basic brief and image references in hand – see which joiner or carpenter in Glasgow, Glasgow City is the easiest to get along with and who best understands what you’re trying to achieve. How long have you been a joiner or carpenter in Glasgow, Glasgow City? 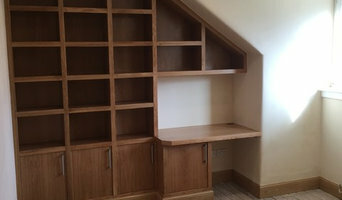 Do you offer bespoke joinery in Glasgow, Glasgow City as well as standard carpentry? Find a carpenter or joiner on Houzz. Narrow your search in the Professionals section of the website to Glasgow, Glasgow City joiner and carpenter professionals. You can also look through photos of woodwork and bespoke joinery in Glasgow, Glasgow City by style to find a design you like, then contact the joiner or carpenter in Glasgow, Glasgow City that worked on it.